* Lessee must pay 12 months rent and we will give a rebate cheque for the 2 months rental back after the forklift is returned and inspected. If you choose the 24 month lease option, we will give you 4 months rental back on the same conditions as the 12 month contract…The forklift must be returned in acceptable condition (normal wear and tear is acceptable) and the hours usage to be within the limit or the overtime charges apply. Monthly payments to be paid by either credit card, or automatic deposit (debit) only. We do not accept payment by monthly cheque. You have 2 options to buy the forklift. The 2 options following cannot be combined or included with any other offers or rebates offered (as above). 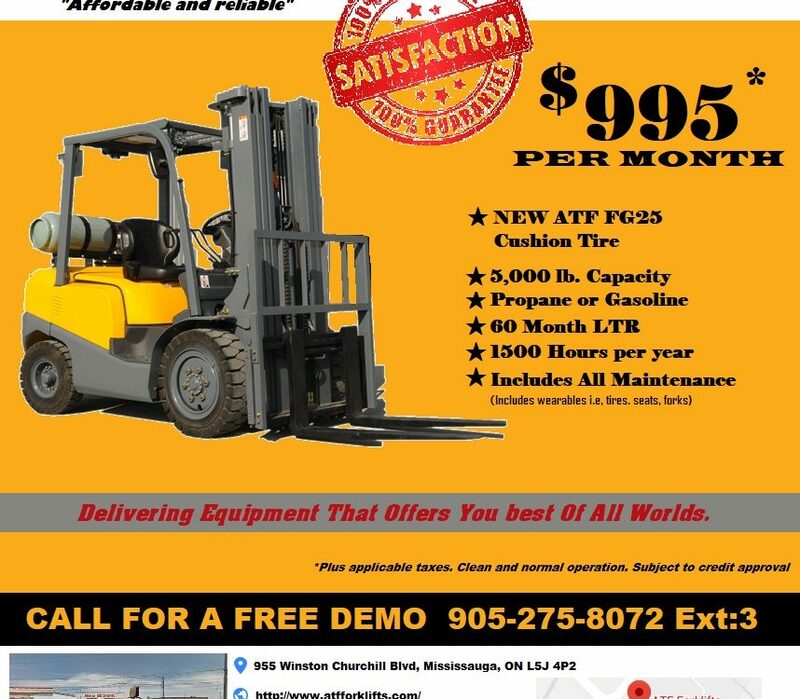 1) Get $2500 off the Original sales value of the forklift to purchase it. The pricing is published on our website,plus any extra options added when it was leased. This is truly a good deal! If you choose this option, we will not inspect the forklift, and it will be purchased on an ‘as is’ basis only. Any inspection, and / certification will be at the customer’s expense. 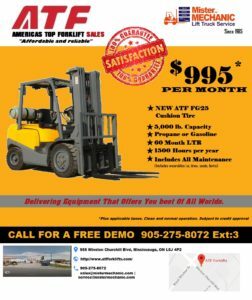 This is a limited time offer to get a new forklift for less than the price of a beat up, used and abused unit. 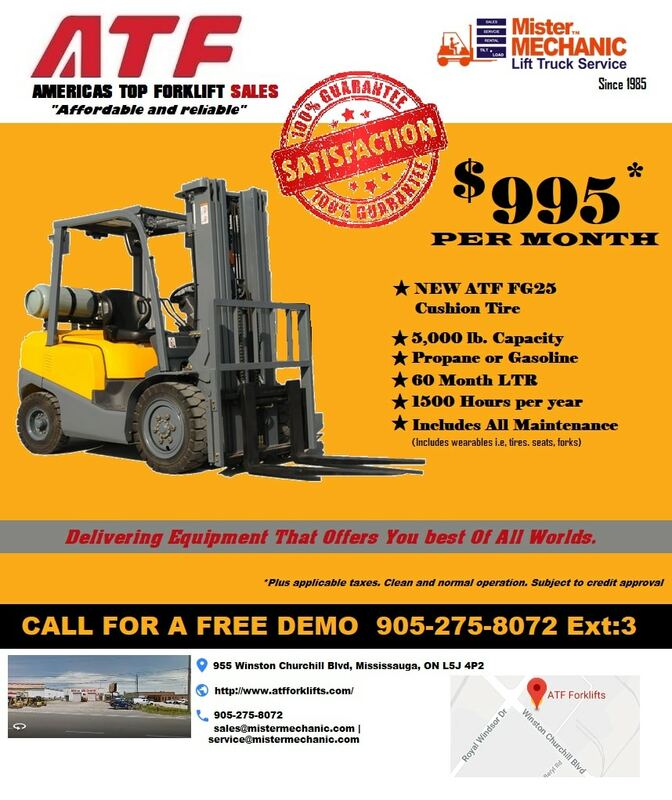 Act fast and reserve your forklift today! CALL US AT 905-275-8072 ext 2 or 3 to talk to your representative. If you have any other forklift needs, give us a call and we can get you into a forklift that suits your needs. Please call us for a discussion.